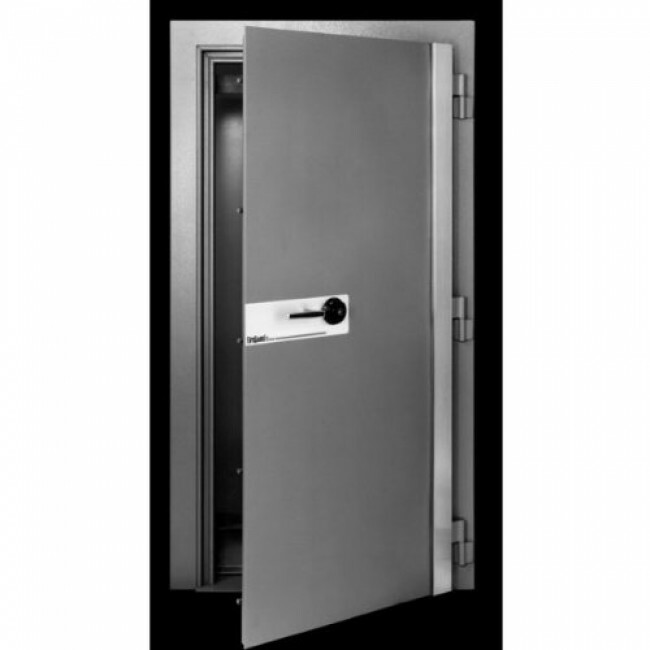 When Sentry purchased Schwab they inherited over 135 years of expertise in creating vault room doors. Some customers build this for a fireproofed vault room. Others add this door to an ordinary room where it still contributes significant fire and burglary protection. The V78322 vaul door was tested at 1700F for two hours and earned the 350F UL label. The vault door was tested for resistance to burglary attack and also did not break open in a blast of water from a large fire fighting hose. The vault door comes standard with a key changeable combination lock but there are many other lock options available. Please feel free to call if you need help shopping 877-442-9964.